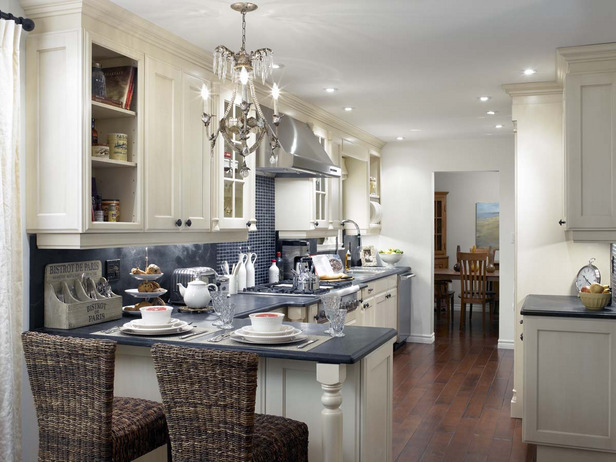 Are you looking to update your kitchen, build the master bathroom you always wanted, or even add a room to your home? Most home improvements or renovations not only help to better the look and feel of the home, they can also add value to your home (equity). But paying out of pocket for repairs and renovations is one of the biggest disadvantages of home ownership. You could rack up your credit cards, or borrow from your 401k, but these may not be enough. A popular way to obtain cash for home improvements and renovations is through a “Cash-out Refi”. This is a simple way to change your existing mortgage loan for a new one by converting some of your home equity into cash. This may cause your mortgage term and monthly payments to increase, but it could very well be worth it if the improvements substantially will increase your current home equity once the repairs are completed. A HELOC account is designed to act like a credit card, with an open-ended term, credit limit, and a minimum monthly payment based on the outstanding balance. With lower interest rates than most credit cards, a HELOC account is a great way to finance home improvements and renovations; as well to use as an “Emergency Funds” account one the balance for the repairs is paid off. This is the least popular of the mortgage home equity options, as it could easily burden you with debt. A second mortgage is a loan secured on the current equity of your home. These loans tend to have a higher interest rate since your first mortgage lender is given priority over the new lender in case of a short-sale or bankruptcy. It is for this reason that second mortgages should be as small as possible. FHA 203(k) loans are a type of federally insured mortgage loans that are used to fund renovations and repairs of single family properties. These loans can be made on a for up to a maximum of 110% of the after improved value of your home. There is a minimum of $5,000 of required repairs with no maximum (subject to FHA’s maximum county loan limits). These loans can be made to refinance your existing home or purchase a new home. You can learn more about the requirements for the loan by clicking here. Fannie Mae’s HomeStyle® Renovation loan permits borrowers to include financing to renovate or make home repairs a purchase or refinance transaction. This is a first mortgage that can be made for up to a maximum of 50% of per-completion value. Cosmetic and structural renovations are permitted. Landscaping, appliances, and swimming pools are just a few of the allowable improvements. You can learn more about the requirements for the loan by clicking here. So if you are looking to perk up your home to accommodate your current needs and lifestyle by repairing or renovating your home, consider what financial option is best for you. If you have any questions or would like to talk to us about these or any other loans, contact one of our licensed Mortgage Loan Originators at NFM Lending by clicking here.